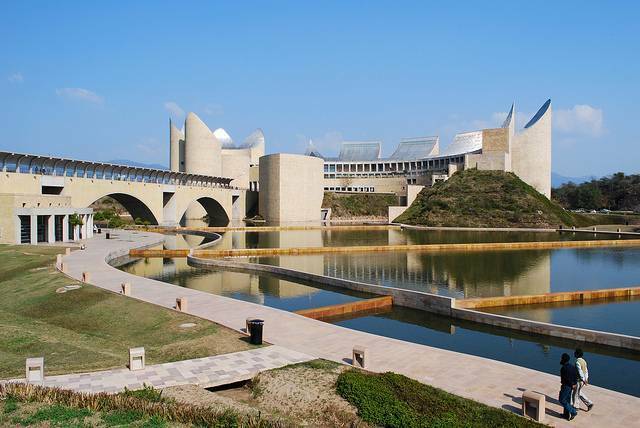 Virasat-e-Khalsa is a museum in the holy town, Anandpur Sahib, near Chandigarh dedicated to Sikhism. It celebrates history of more than 500 years of Sikhism. The museum building is a beautiful modern structure innovative constructed with concrete, wood and steel. This is undoubtedly one of the best museums in the world when it comes to preserving and displaying history and culture of Punjab and Sikhism. The museum building also has an auditorium, a two-story library and an exhibition space, consisting of two galleries. The building was designed by Moshe Safdie and Associates.